One of the prominent Instagram influencers Aggie Lal is currently under fire for an alleged scam. As told by BuzzFeed News, the blogger “netted about $200K from an "exclusive" program that people say was highly disappointing.” In the light of a scandal, Lal offered a full refund to anyone who felt disappointed. The Typical Student team learned more about what’s going on. 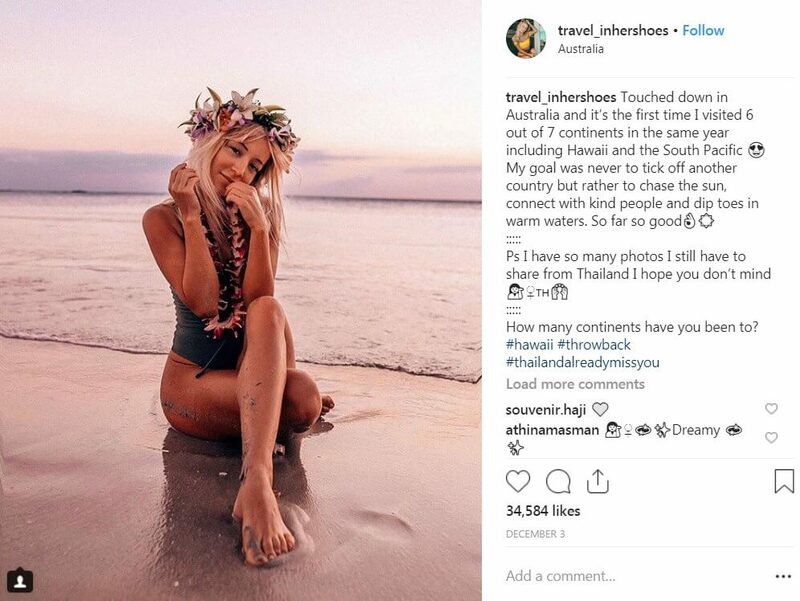 In case you didn’t know, Aggie Lal is a travel blogger known as @travel_inhershoes with a over 800K following on Instagram. Currently, she’s in the middle of a huge scandal, because some women are claiming “they paid $500 to learn her tricks and tips in a "master class" on social media.” As told by BuzzFeed News, Ms Lal’s content typically includes “dreamy shots of herself in various exotic locations” as she claims to be "LA-based free spirit." "I wanted the price to be a little 'painful' so it feels like an investment and will discourage people who are not serious about blogging as their future to participate." She also intended to keep her class small to "make sure [she] can be reachable to students." As a result, there were 380 enrollees, which netted the blogger $188,860. The course duration was supposed to be from September 17 to mid-December, new course materials released every week. Is "Master Tribe" Course a Scam? The scandal brewed due to a post on Medium "I Was Scammed by a Celebrity Influencer" written by someone under the username "Wannabe Influencer". The post unveiled the “scheme” in full detail claiming Lal had tricked the author and others to pay for a course she didn't deliver. As Lal’s course didn’t meet the students’ expectations, it was dubbed a "scam." According to the Wannabe Influencer, Ms Lal started a "challenge" encouraging her students to use an affiliate link to get more people to sign up for the same course they just started. Ms Lal also wanted them to sell her presets, or custom Instagram filters. Lal’s student, Juliet Hatley, @youngblondemom, said this "challenge" also left her very "unhappy." She said she signed up for the course because she works as a social media manager and wanted to use it to grow her business. In response to students’ disappointment Ms Lal is currently offering the full refund.